Today, during STEM Day at the International Space Station (ISS) Research and Development Conference, students had the opportunity to engage with the space station community, present talks and posters on their space-based research, and even talk with ISS crew member Drew Feustel through a live downlink! The power of the ISS to support education and connect students with space is incredible. During the month of August, ISS360 will be focused on education and the ISS. Our “back-to-school” series will present fascinating articles, features, interactive content, and blog posts. You’ll learn how students use the ISS as their new laboratory in space—they program robots to operate in the weightless environment of the space station; plant seeds on Earth that have been to the ISS and back; explore our dynamic planet Earth using glorious photos taken by the astronauts; do gene replication to see how cells change in space; and even design, build, and launch their own experiments! All of these are part of Space Station Explorers, a consortium of programs and partners who are inventing this bold vision of education, in which students directly engage with the ISS as their own resource for learning and exploring. 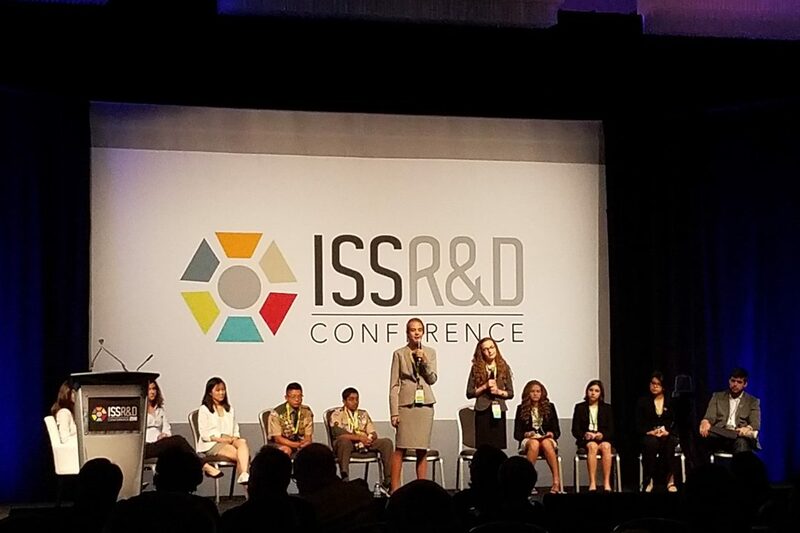 the ISS National Lab has provided operational, financial, or outreach support for these partner organizations as they created some incredible learning opportunities, resources, and programs, which we now want to share with a much broader audience. Think of the ISS as a school space lab—an extension of the classroom, just like a biology, chemistry, or physics lab. Schools pick and choose from these terrific programs to support their science, technology, engineering, and mathematics (STEM) learning goals for students. Many of the programs are free, others are offered at a modest cost for equipment or operational support. We offer programs for all levels—elementary, middle, and high school; colleges and universities; museums; and after school programs—all of which provide opportunities for life-long learning. Biology students explore how seeds germinate without gravity signaling “down” to the root systems. Physics students control an in-orbit thermal experiment with fans, heaters, and sensors and download the resulting data for classroom review. Chemistry students expose materials to the radiation and extreme cold and heat on an external platform attached to the ISS. Earth science students track storms, see erupting volcanoes, and monitor retreating glaciers as a metric of climate change. We’re witnessing a revolution in educational use of the ISS and space. The ISS is not just something to learn about, it is a resource for students to directly use to learn and explore. For the first time, we’re able to do this “at scale,” reaching not just a few exceptional students, but truly becoming part of the fabric of education. Welcome to the future!